Education in communication focuses on the relationships among the communicator (speaker, writer), the message (oral, written, electronic), the receiver (individual, group), the media, and the social and cultural environment in which communications take place. By studying these elements across various contexts, students develop an understanding of principles of communication, the strategies for analysis of communication problems and solutions, and tactics to communicate effectively. The program aims to produce graduates who have a broad knowledge of contemporary communication challenges and who are equipped to apply their knowledge and understanding to a variety of practical situations. The Ohio State University School of Communication has achieved national and international distinction in research, teaching, and service by designing innovative programs in specific areas of expertise. Strong research and teaching programs focus on present and future directions in the field geared to address the sweeping changes occurring in communication. Have a question about Communication or want more information? Let us know. 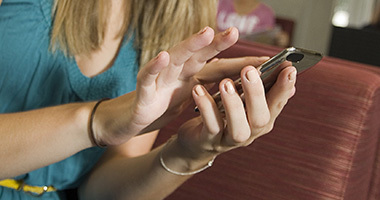 Students in this track explore the way technology is transforming the field of communication. 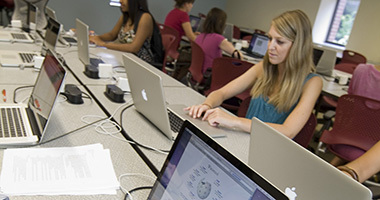 Students in this program will learn to assess the needs of the end user by employing quantitative and qualitative research techniques, and communication and design principles that will allow students to design multimedia and online content systems. This track offers a broad-based education in communication combined with the flexibility to pursue specific areas of interest, including mass media effects; interpersonal communication processes; communication for advocacy and politics; and health, science, and risk communication. Courses emphasize the analysis of different types of data, messages and communication practices. In this track, students learn ways in which organizations communicate in order to accomplish a goal and includes courses that examine communication through public relations, marketing communication, advertising, persuasion and public theory and communication campaigns. In 2015, Zuri Hall (BA, communication, 2010) became the newest correspondent for E! News, where she interviews musicians, actors and entertainers. Here, she talks about her job and offers some advice. Graduates with a focus on new media and communication technology are prepared for careers as managers of technology based communication campaigns, usability analysts, online content developers, and web and multimedia designers. Within the strategic communication track, students train for careers as communication specialists, marketing and public relations professionals, communication campaign managers, sales, and communication consultants. Examination of positive and negative contributions of advertising in the American mass media system to society from political, sociological, and economic perspectives. Analysis of the roles played by the mass media, public leaders, and accidental circumstances in the development of issues and images in contemporary American political communication. Decision-making as a process; comparisons between interpersonal, bargaining-negotiation contexts, and group organizations; descriptive and prescriptive models of decision-making in small groups and organizations. The Public Relations Student Society of America (PRSSA) meets biweekly to hold educational programs, visit local and regional public relations firms and media outlets and provide opportunities for social interaction with students of like interests and career goals. It is an organization for students interested in careers in public relations, event planning, media relations, communications, public affairs, advertising, marketing, or online communications after graduation. The PRactice is a PRSSA-accredited, student-run public relations firm that provides a professional environment for students to excel and learn skills pertaining to the public relations industry. The firm utilizes students of all majors and expertise levels to provide solutions for local and national clients involving social media, event planning, design, marketing and traditional public relations. Being run by students, the firm creates an innovative and fresh look to any client's campaign and an invaluable learning experience in the public relations creative process. This is such an exciting time for those considering the field of communication. 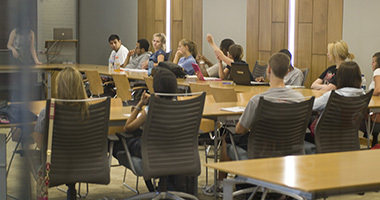 The School of Communication at Ohio State University actively encourages students to test what they learn in the classroom in real-world settings. Students are encouraged to explore internship experiences that will help augment their studies and provide valuable experience. Because communication is vital for all types of organizations, students are encouraged and coached through the process of developing internship opportunities that are best suited to their own interests.